Experience the Co-operative Difference on your next holiday. A co-operative is a group of people acting together to meet the common needs and goals of its members, sharing ownership and making decisions democratically. 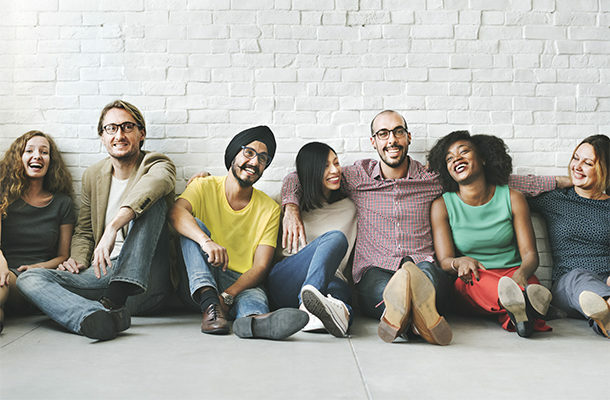 Unlike a PLC co-operatives are not about making big profits for shareholders, but they exist to create value for customers – this is what gives co-operatives a unique character, and influences our values and principles. Since 1844 there have been co-operatives; organisations set up by communities for the good of local people, providing quality produce at fair prices. We strive 'to be a successful consumer co-operative working towards creating a better, fairer world and to enhance the lives of our colleagues, members, customers, and the communities we serve'. That means that we are an ambitious business guided by the co-operative values and principles to ensure that everything we do benefits our members and the wider community. When you book with Co-operative Travel, you aren’t just arranging a holiday. You’re helping local communities and creating positive changes worldwide. You’re contributing to a co-operative group with roots that date back to 1844. And you’re benefiting from the four values that govern Midcounties Co-operative Travel: democracy, openness, equality, and social responsibility. We want every stage of the booking process and of your holiday to uniquely suit you – from your first contact with us, to the time of your flight, to the way your hotel chef poaches your morning eggs. If you want to book online, or come to see us in store, or call us, or if you’d prefer that we called you, that’s okay. If you want a stylish ski holiday, an exotic break in Gambia, a luxury cruise, a staycation in the UK, or a sun-soaked all-inclusive in Spain, we have these and many more. Anyone can join the Midcounties Co-operative for just £1, and each member of the co-operative is given a voice. Democracy frames how our company works, meaning that every customer and every team members can influence our most important decisions. A commitment to openness drives us to offer the right product to the right person, without restrictions or excuses. As one of the UK’s largest independent travel agents we take the hassle out of arranging your holiday, piecing together packages sourced from hundreds of different holiday providers. This helps us give you the best choice and the best possible deal. Our equality policy means that we recognise the benefits and opportunities every individual can bring to the company and to British society itself. We also go further, because our unbeatable range of holiday providers lets us find travel experiences to suit every budget, every preference, and every taste. Social responsibility flows through everything we do. We have a close relationship with the Travel Foundation, an independent charity working to benefit the people, environments, and destinations our holidays visit, worldwide. The Travel Foundation, which gave £1m to charities it supports in 2015, is just one of the responsible tourism companies we work with, which also include Intrepid Travel and G Adventures. You can read more about the Midcounties Co-operative society here. Since 1844 there have been co-operatives; organisations set up by communities for the good of local people, providing quality produce at fair prices. Midcounties launched its first store in 1853 and there's been no stopping us since, but no matter how we grow our values of Democracy, Openness, Equality and Social Responsibility remain the same. We're proud of our heritage, independence and our local roots - those are things that will never change. The Co-operative Movement has its roots in the 19th Century when the Industrial Revolution resulted in widespread exploitation and misery for many working people. One particular form of exploitation that was common was the way many people found it difficult to obtain good quality food at a fair price. The Rochdale Pioneers are credited with starting the first successful retail co-operative society in 1844, although there had been earlier attempts. The Pioneers opened a shop in Toad Lane, Rochdale selling unadulterated goods at reasonable prices to raise funds to create their own co-operative community. They also introduced a dividend that meant that all of its customers could become members of the Society and received a return in accordance with their expenditure. By 1890, the efforts of ordinary men and women had forged a Movement of some 1,400 societies right across the century, with even more in Europe and elsewhere throughout the world. However, during the last century, the Co-operative Movement has undergone many changes in order to meet the challenge posed by multiple retailers, including combining to create larger and more efficient organisations. Today, there are around 39 retail co-operative societies in the UK ranging in size from small 'one shop' societies to giants with sales of over £5 billion. Scroll through the timeline on the right or read more about our heritage on our main Society website. 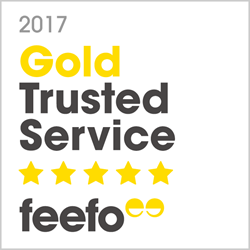 We take great pride in the level of service that we provide to our customers and we are delighted to have been awarded the Feefo Gold Trusted Merchant Accreditation again for 2017, an award based purely on customer feedback on the service they received from us when booking their holiday. Our team of travel experts are all extremely well-travelled and can offer advice based on first-hand knowledge of the many destinations they have visited. As a Co-operative, we are fully independent and not tied to any individual tour operator and this means we are able to offer fully impartial recommendations to you for your next holiday. We are delighted to work in partnership with the Travel Foundation as it fits so closely with our company values of co-operation and supporting local communities. 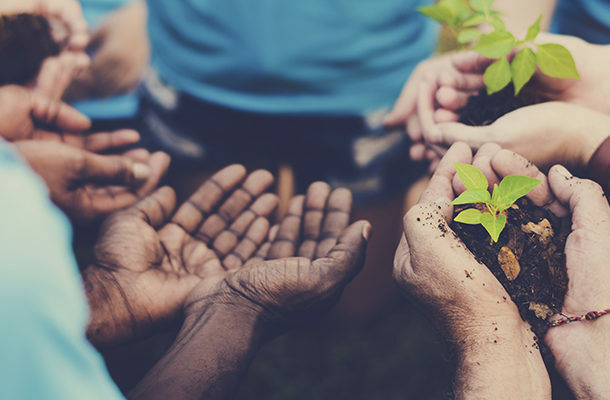 By partnering with the Travel Foundation we are able to do this on a global scale and support communities and environments in destinations that our colleagues, customers and members love to visit. Founded in 2003 the Travel Foundation is an independent charity working to ensure tourism benefits people and the environment in destinations all around the world. The Travel Foundation works closely with communities, tourism businesses, local authorities and many other groups and organisations in order to transform tourism in a way that makes it more sustainable, fairer and engaging for local communities as well as providing a more authentic experience for people vising the destination. In 2015 the Travel Foundation contributed over £1m towards the charitable activities that they support. 72% of the income that enabled them to make these contributions came through the generosity of people like you donating amounts as small as £1 when booking holidays. We are delighted to support the travel foundation and do hope that you will consider making a similar small donation next time you book with us to enable us to continue to support the great work that the Travel Foundation are doing all around the world. You can read more about the great work that the Travel Foundation do on their website, click here to visit the Travel Foundation. Our shared goal is to measurably improve knowledge of sustainable tourism products and practices with the Co-operative Travel team and to support our customers in making more sustainable holiday choices. We will also seek to raise the profile of our charitable partnership and, in turn, increase the total annual funds raised from customers that directly support the ongoing work of the Travel Foundation. Enhancing the quality and sustainability of products and services in destinations, creating better customer experiences that also benefit the people and environment in destinations. Their work in Mombasa is a great example of positive industry change. They deliver and develop bespoke training programmes to help entrepreneurs improve business skills, and to help organisations in the destination support their future development. They ran a train-the-trainer project in Jamaica so that local tourism trainers could support craft entrepreneurs. They also support businesses and governments to embed change into their policies, to help destinations thrive. For example, they helped the Cyprus Tourism Organisation embed minimum standards for sustainability into their hotel standards for all tourist accommodation on the island. We are proud to support the Travel Foundation with all their projects, especially those that are so closely linked to our own values. 1. To increase economic, social and cultural benefits to the Much Kaab honey co-operative and their families. 2. To provide an incentive to support the conservation of the Melipona bee and the preservation of the Maya beekeeping cultural tradition. 3. To provide a model of best practice for other communities, in relation to both beekeeping and business development. Why? Communities living in rural areas have few opportunities to earn a living from tourism. 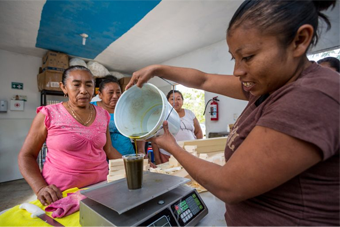 Linking their product to the tourism industry will help the cooperative to earn a living from tourism, and remain living in their home village. The cooperative have gained experience of developing a brand, and running market testing, and now have a customer facing brand and packaging attractive to the tourism market. You can see more information on this and many more Travel Foundation projects on the Travel Foundation Website. 1. Prove that small local producers can supply hotels at scale, in a commercially viable way. 2. Introduce a 'Taste of Fethiye' labelling system to help hotels verify & promote local foods as a benefit for guests. 3. Help local producers to farm in a more sustainable way, producing greater yields and using fewer pesticides. Why? Although there was significant interest from hoteliers and wholsesalers in purchasing locally-grown fruit & vegetables, there was no means of verifying the origins of fresh produce available. On the supply side, there were a number of farming communities interested in selling to the tourist industry, but there was no collaboration between producers. Since 2010 the proejct has brought together large tour operators, hotels & agricultural producers. Developed the Taste Of Fethiye brand & logo. Self drive 'Explore Fethiye with Village Driving Routes' booklets distributed to car rental companies and tour operators. 40 local food events held at hotels, as well as the first craft fair to promote Taste of Fethiye. Supply of Taste of Fethiye produce to hotels has increased year on year. Agricultural tourism excursion developed, including a visit to a Taste of Fethiye farm. All 16 hotels that procured Taste of Fethiye fresh fruit and vegetables in 2015 have re-committed to sourcing their produce from Taste of Fethiye producers. Farmers increased their income both by reducing their input costs (fertiliser etc) and increasing yield per acre by, on average, 30% each. 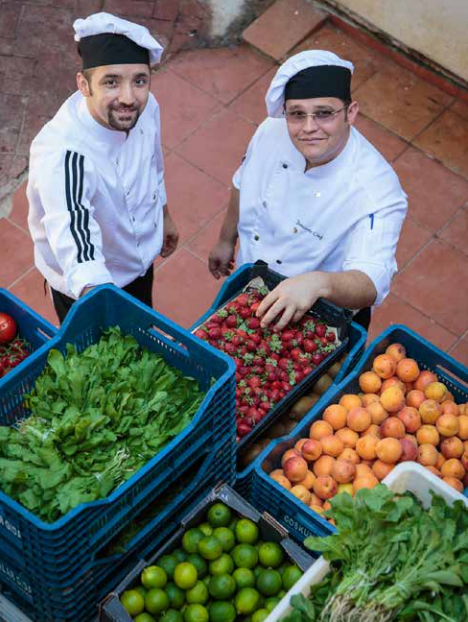 24 hotels have purchased Taste of Fethiye produce, and in 2015, 16 hotels sourced on average between 70% and 85% of their entire fresh fruit and vegetable requirements from Taste of Fethiye (437 tonnes). The Taste of Fethiye project has been nominated for the 2018 Global Good awards. At The Midcounties Co-operative we place a great importance on supporting the communities we serve, because it’s something that matters to our members, our customers and our colleagues. Concern for the community is one of the co-operative principles on which we base our business and we look to give something back to our communities in a number of ways. From volunteering at schools and local charities to fundraising for our charity partner, and donating a share of our profits back to organisations that need our support, there are so many ways we are engaging with the people we serve. Our work within the community has been recognised by a number of national bodies and we’ve received many awards. Take a look through this section to find out more about what we do, and how we could help your organisation. Regional Communities' is a focussed, measured approach to supporting communities in an identified geographical location where the society has a strong trading presence. Measured, with clear targets, Regional Communities is a programme that puts Midcounties at the very heart of the local life, ensuring that we are truly community owned, community led, and community rewarding. Our colleagues and members work together to support local community projects that matter to those who work, live and learn in the local community. The Midcounties Co-operative is one of only a handful of UK businesses to achieve a 5 star rating in Business in the Community’s annual benchmark of responsible business, the Corporate Responsibility Index (CR Index). We are proud to have achieved 99% against an average of 91% for our sustainability practices. Find out more and learn how to apply for funding for your local community project here. As a Society, our colleagues also receive an entitlement of up to three days each year to volunteer within their normal working hours. Last year our colleagues across the Society completed 36,100 volunteering hours (compared to 26,000 in 2015). If this work had been paid for it would have cost the beneficiaries over £500,000. 21,000 of these hours were completed in Regional Community areas (increase from 10,800 in 2015). We believe that volunteering gives our colleagues a fantastic opportunity to develop individually and as part of a team while making a real difference to their community. Colleagues taking part in our volunteer programme have participated in numerous activities – anything from painting a church hall, to supporting employability events or one-to-one mentoring for young people. If you would like to find out more about the scheme and how our colleague volunteers can make a difference at your community group, or if you are interested in volunteering, click here to contact the Midcounties Community team. As a co-operative we’re working towards a better, fairer world. Our Society is working to make a difference in a positive way to the lives of people, both in your community and throughout the world. For example, on a local level our stores over essential services and we support and fund local community projects. On a worldwide level, we continue to support a variety of initiatives including Fairtrade, ethical sourcing and caring for the environment. All of our trading groups are doing their bit, with our Funeral Group introducing LpG fuels for some funeral vehicles to achieve reduced emissions and launching a range of environmentally friendly coffins. At our Childcare nurseries biodegradable nappies are used and children are taught the value of recycling and environmental awareness. As you can imagine, producing numerous travel brochures creates waste. As part of The Midcounties Co-operative’s commitment to the environment we endeavour to recycle all our brochures and, wherever possible, send e-brochures to our customers to help reduce waste even further. The Society was reaccredited for the second time with the fair tax mark in 2016 , which certifies that we pay the right amount of tax in the right place at the right time. This Tax Charter represents a formalisation of our approach on tax matters and reflects our outlook and values. Within the overall framework set by the Charter, we believe it is fair that we look for ways to mitigate the Society’s tax bill to ensure we do not pay more tax than we need to. However, our approach will always be based on a recognition that as a values led and ethical organisation we should pay the taxes we are due to pay and we should not engage in aggressive tax avoidance schemes, even if legal. YOU control your membership. You can be involved as much or as little as you like, from simply using the Society's businesses to becoming a Board Director. 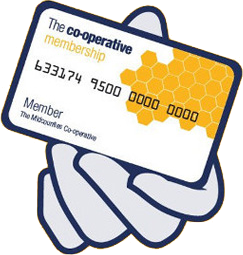 The points you earn as a Midcounties Co-operative member are converted into a share of the profits, the value of which is approved by members at our members’ meetings. From childcare and energy to healthcare and travel, being a Midcounties Co-operative member ensures that you enjoy a range of benefits across all our business areas. When you join the Member Travel Club, you now receive 1 point for every £2 spent, giving you 5 times more value than the previous 1 point for every £10 spent. You can find a breakdown of how to earn points and our current rewards here. Being a member of The Midcounties Co-operative offers you the opportunity to earn membership points when you trade with us. By joining our Member Travel Club, which is exclusive to Midcounties Co-operative members, you will also gain access to exclusive travel benefits including discounts, rewards, VIP rates on travel money, and extra points. We provide our members with the widest choice of holidays and source unique new offers for our members, distributed via exclusive emails to help ensure you get the most from your membership with Midcounties Co-operative. The Midcounties Co-operative has had a lot to celebrate recently, with awards both at a Society level and also within our individual business areas. The Society awards recognise our collegue engagement and our innovation, these national awards mark us out as sucessful co-operative business and we are extremely proud to have achieved this recognition. We are delighted to have been awarded the Feefo Gold Trusted Merchant Accreditation for service again for 2017. Only businesses that have received over 100 reviews within a year, and with a service rating above 95% receive Feefo's most prestigious award. We were delighted to receive this award in the 2016 Agent Acheivement Awards. It is an award that reflects the hard work and dedication from our Social Media team in producing engaging and innovative content for our many followers. You can see a full ist of winners in all categories here. We were delighted to be awarded, for the fourth year running, the Central England Large Agency of the year award at the 2017 Agent Acheivement Awards. See the full ist of winners here. The Midcounties Co-operative has been named Co-operative of the Year at the annual Co-operative Awards. The awards celebrate excellence, innovation and ethics in business and the Society was honoured with the accolade due to both its financial performance and social responsibility. The award was presented at the Co-operatives United festival in Manchester where co-operatives from all over the world gathered to mark the end of the United Nations International Year of Co-operatives. A stellar endorsement from its own workforce has seen The Midcounties Co-operative awarded a prestigious two-star rating in a national business awards scheme. Best Companies accreditation recognises high levels of employee engagement and is sought after by some of the UK and Northern Ireland’s leading high street names and other successful businesses. Achieving two-star status puts Midcounties in the ‘outstanding’ category and is two steps higher than last year’s listing of ‘One to Watch’. The award was presented at a ceremony in London. Chief Executive Ben Reid, said: “This is very special, as a significant part of the assessment is feedback from our own colleagues. “For any business to be successful you have to have those you work with on your side, sharing a common goal and vision. Best Companies accreditation follows the elite ‘Michelin-style’ star rating system. Based on employee feedback, organisations receive an index score which determines their star-rating compared to a fixed standard. 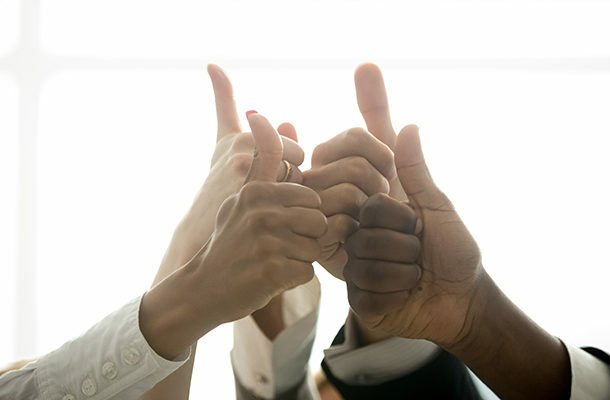 The score is defined from employees’ responses to questions within the Best Companies survey, which assesses all areas of the employment experience. This includes leadership, personal development, wellbeing and remuneration. The two-star accolade follows hot on the heels of Midcounties retaining its Investor in People Gold award, alongside being named Co-operative of the Year in the annual Co-operative Awards that celebrate excellence, innovation and ethics in business. The Midcounties Co-operative has been awarded a coveted 4.5 star rating in Business in the Community’s annual benchmark of responsible business, the Corporate Responsibility Index (CR Index), rising from 4 stars in 2014 and achieving a score of 99% in 2016 against a national average of 91%. The CR Index is a robust benchmarking tool which has helped hundreds of companies measure and manage the progress they are making to integrate responsible business practice into their mainstream business at all levels. The sought after 5 star rating, which few businesses have achieved, recognises the Society’s commitment to supporting and developing the communities in which it trades. The Society has been praised for distributing over £1.5 million in charity and community investment, including £550,000 for Teenage Cancer Trust, and for providing support to over 10,000 community groups in 2014. The CR Index also recognises businesses who have excelled in environmental activity and rewarded The Midcounties Co-operative for its outstanding success in reducing energy consumption by 10 percent since 2009 and increasing the percentage of its waste that is recycled from 21 percent to 83 percent during the same time period. In total, the Society has made staggering eco efficiency savings of over £1 million. Pete Westall, Group General Manager for Co-operative Social Responsibility, said: “The Midcounties Co-operative is committed to bringing our members and colleagues together to provide impactful and sustainable support for local community groups. We are extremely proud of everyone who helped us to achieve this outstanding rating and to make a lasting difference in the areas where we do business. 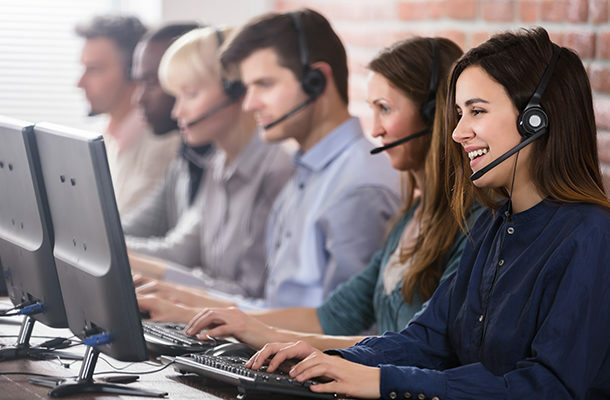 We are very proud of the service that we provide and we strive to offer the best possible levels of service to all our customers whenever they contact us. We ask every customer to provide feedback on the service they have received whenever they book with us and you can see these reviews below. We were delighted to be awarded the Feefo Gold Trusted Merchant accreditation for 2018 following on from us receiving the same award in both 2016 & 2017. 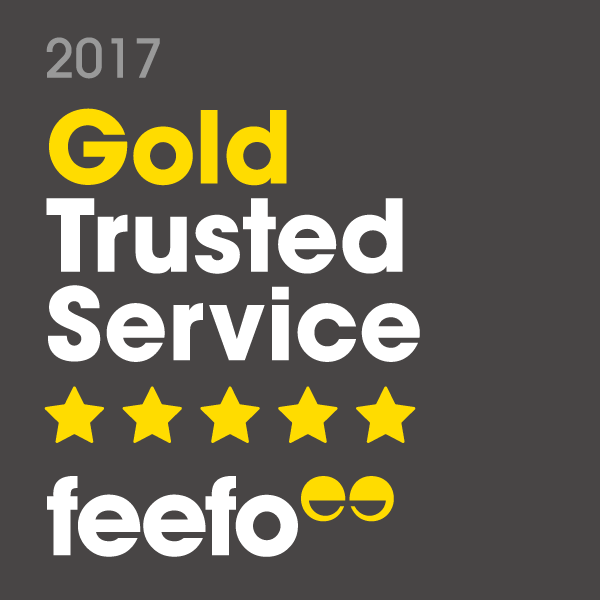 The Gold Trusted Merchant accreditation is the highest level of award issued by Feefo and we are very grateful to all our customers for helping us to acheive this by providing their feedback. There are so many great reasons to become a member of Midcounties, and receiving your share of the profits is just one. The "Everything you need to know about membership" booklet details all of the benefits you recieve as a member of the society.